Chelsea Chen, a student from A.N. 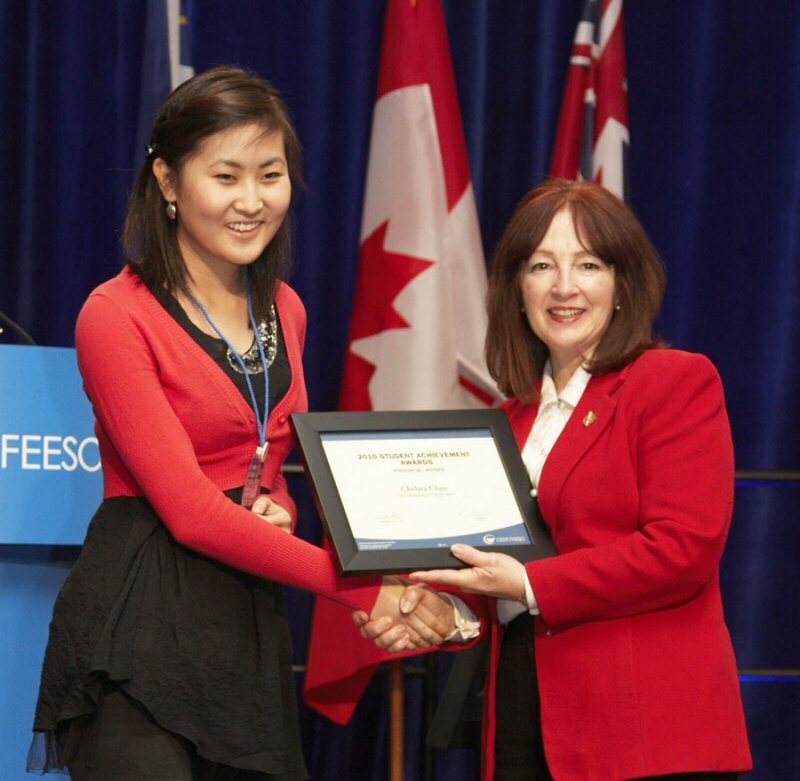 Myer SS, is the recipient of the highest honour that the Ontario Secondary School Teachers' Federation (OSSTF/FEESO) can bestow upon a student-the Student Achievement Award. Chelsea won the Intermediate visual art division in the creative category of this prestigious award for her entry entitled, Unimportant. She was sponsored by her teacher Magdolene Dykstra. The Federation honoured Chelsea with the Student Achievement Award by presenting a cash prize of $300 and framed certificate at the OSSTF/FEESO annual meeting, March 13, 2010. (Left) Chelsea Chen being presented with her award with the help of (right) Minister of Education, Leona Dombrowsky.